Sales and service of most major brands of PCs and Servers. 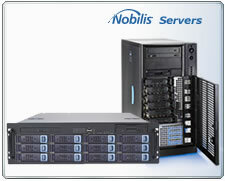 We excel at custom built solutions for both the desktop and server room. Firewalls, switching, wireless access points (WAPs) and all common networking components. Printers, scanners, hard drives, USB devices, and all types of PC and network accessories.